A process plants, algae, and bacteria use to convert carbon dioxide, water, and energy from the sun into useful sugar. Oxygen is released as a waste product. Compounds produced in the brain during intense pain, excitement, or exercise that relieve pain and create a sense or power or exhilaration. A class of proteins in the blood including disease-fighting antibodies. Also called immunoglobin. Found in the neck, it is the largest hormone-secreting gland in the body. It controls the levels at which the body burns energy, makes proteins, and responds to other hormones. Summary: Sunlight brings many health benefits when we enjoy it in moderation. Without sunlight, life as we know it could not exist. Fruits and vegetables that receive the direct rays of the sun grow much better than those that are exposed to artificial light. This also applies to humans. Those that do not get a sufficient amount of sunshine experience poorer health. Those who are daily exposed to the vitalizing effect of the sun's rays have a ruddy complexion and more vibrant health. Sunshine is the most natural and effective antiseptic available to us. Sunshine is also one of the most effective healing agents known. The sun unlocks the vitamins in food. Without the sun's rays, we could not get the full value from our food. 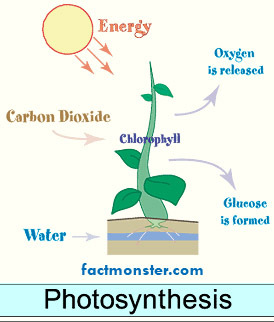 The sun's rays gives plants the ability, through a process known as photosynthesis, to take carbon dioxide and oxygen from the air and combine these into the basic food substances by which all things live. This is done by chlorophyll, the green substance in the leaves of the plants. We are unable to duplicate, or even fully understand, this process. Energy from the sun's rays also act on certain substances in the skin, changing them to vitamin D, one of the essential vitamins to the body. Sunlight keeps our blood warm and pure and supplies life-giving energy to every organ of our bodies. Our brains are fed by sunshine-enhanced blood; our body is strengthened by the sun's energy. Sunlight converts cholesterol into vitamin D, lowering the blood cholesterol. Vitamin D provides a host of advantages to the body, including prevention of many types of cancer and better calcium absorption, which in turn helps prevent osteoporosis and tooth decay, makes stronger denser bones, and speeds bone repair. Sunlight kills many germs and enhances the immune system by increasing gamma globulin, and raising the number and effectiveness of the white blood cells which destroy germs. Lightly tanned skin resists germs and infection much better than untanned skin. Many skin diseases respond well to controlled doses of sunlight. For a clean, fresh bed, expose bedding to sunlight. It's better to let the sunlight into your homes and risk a little faded furniture than to keep the shades drawn at all times. The health of the occupants is more precious than any expensive furniture. Sunlight soothes the nervous system and is important in treating depression. It gives a sense of well-being by increasing endorphin production in the brain. Sunlight strengthens the cardiovascular system. It improves the circulation, lowers the heart rate, and normalizes the blood pressure and blood sugar. Sunlight aids in digestion and weight loss, increasing the metabolism by stimulating thyroid production. Sunlight improves sleep. Natural light exposure in daytime increases melatonin output at night. The sick are greatly benefited by the sun due to its healing properties. Sunlight enhances waste elimination by improving liver function; it is an effective treatment for jaundice. It relieves the kidneys of some of their burden by eliminating wastes through the skin when you sweat. Read about the next law of health: Temperance. Updated June 2009. If you enjoyed this article, share it with a friend. Also, check out our media site—Amazing Discoveries™ TV—and Amazing Health™ site.